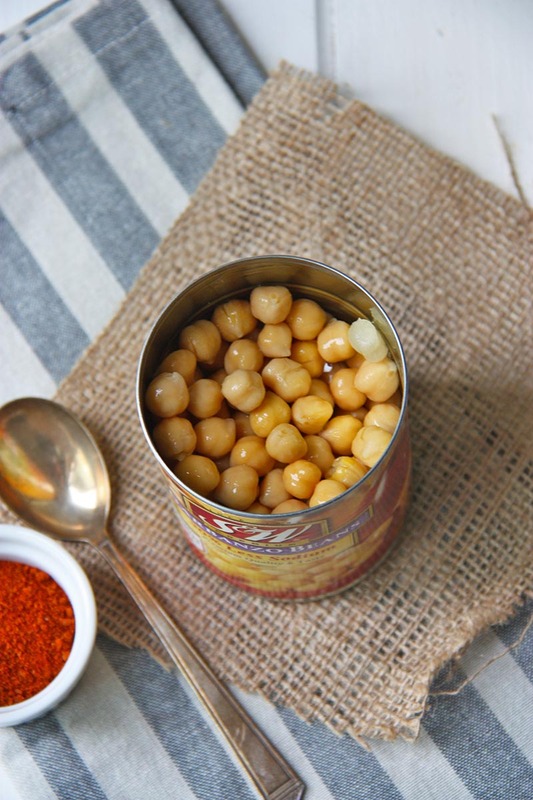 These harissa roasted chickpeas make the perfect snack! Spicy with a hint of saltiness, these are seriously addictive! Ok, I promise this will be my last harissa recipe for a while! But the truth is, I can’t get enough of this spice! Harissa is just so darn good! And because I’m having a hard time making brown photos look good! I am a huge spice sook, I can’t stand anything that is overly spicy, which is why I am digging harissa so much! It just has a light spice to it, not enough to overwhelm you, but pleasant enough that you just want to keep going back for more! I recently used these chickpeas in a salad I made but decided to kill two birds with the one stone and make a separate recipe for the chickpeas, because they make such a good snack as they are! 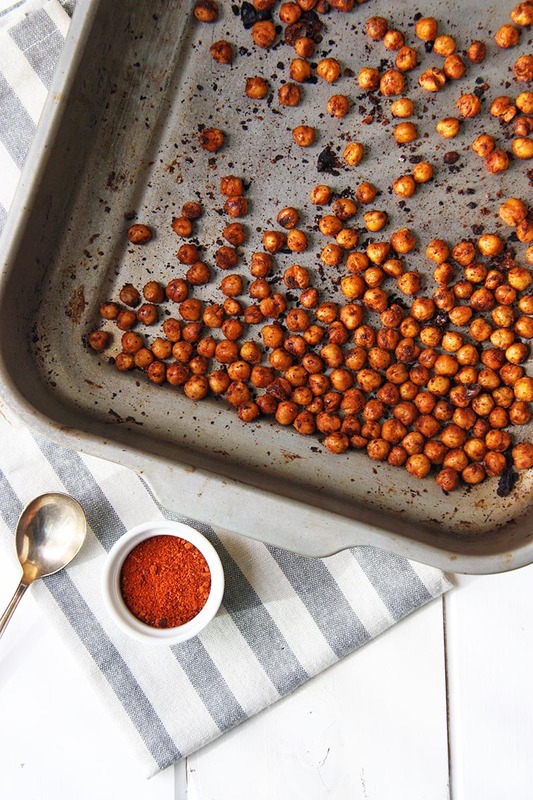 The trick to roasting the perfect chickpea is to make sure that the chickpeas are thoroughly rinsed, drained and pat dried with paper towels. Then it comes down to just adding the remaining ingredients: olive oil, salt and pepper and of course, the star of the show the harissa spice. These roasted chickpeas could not be easier to make! The other trick that comes with making these chickpeas, is patience. They take at least 30 plus minutes to cook in the oven. You want them nice and crispy, but not too well done, remember, they will keep cooking once you have taken them out of the oven as well. You need to make sure you taste test around the 25 minutes mark so ensure they are not too done. They will shrink up a little bit, and become beautifully and crispy (see above photo). We can guarantee that you will totally dig this recipe – it is the easiest snack to make! Not only is it easy, but requires 4 simple ingredients. Perfect for the snack on the go! 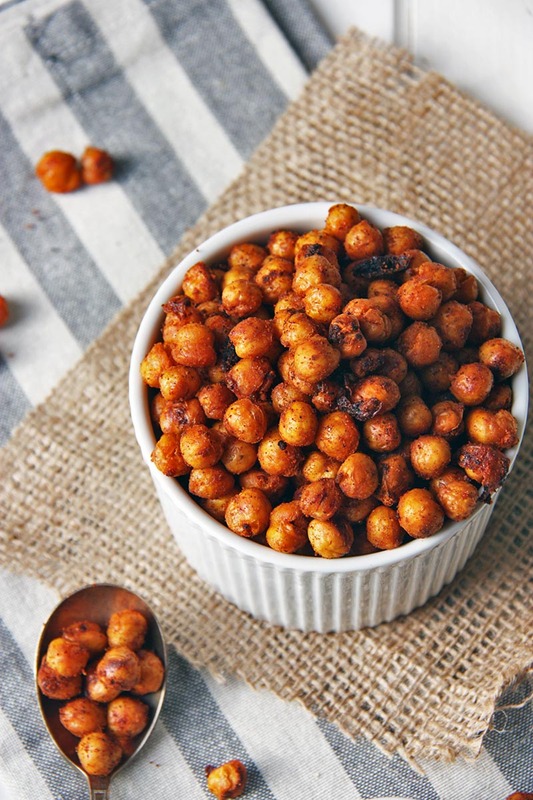 These harissa roasted chickpeas are the perfect snack when you're looking for a savoury bite to eat! A hint of spice, and a whole lotta flavour, you'll love this new snack! 14.5 oz chickpeas, canned, drained, rinsed and pat dried with paper towel. Add olive oil, harissa and salt and pepper. Mix well until all the chickpeas are coated in the harissa. 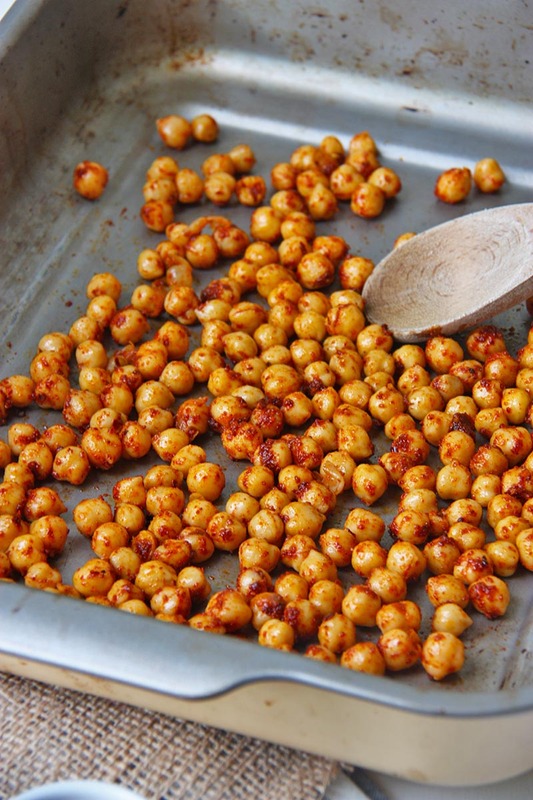 Lay chickpeas out flat onto a large baking tray. Place chickpeas in oven and bake 25-30 minutes, tasting to ensure they are not over or under done. Remember that they will continue to cook and harden up after they are removed from the oven! Oooo 2 of my favorite things! Roasted chickpeas are the best!